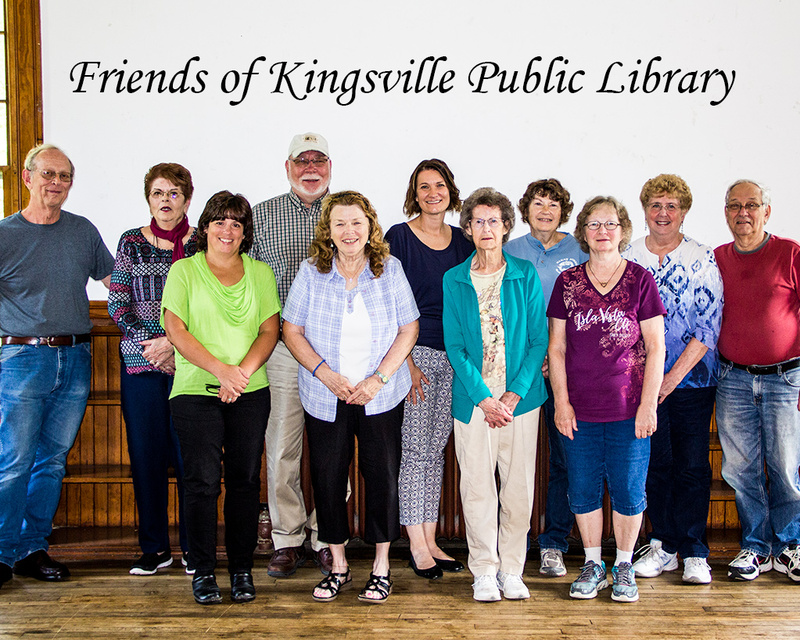 The Kingsville Public Library Friends' Organization has been in existence since 1972 and was instrumental in obtaining funds for the 1985 building addition. The members have worked to provide many extras for the library and staff, such as: Architect & consultation fees for building additions, landscaping for the new building additions, cupboards & counter tops for the offices and the staff room, several copy machines through the years, new library signs and behind the scenes support and encouragement. We are most grateful for this energetic and enthusiastic group. Someone who enjoys working with others to support a valuable community resource - our Library. Someone who is willing to donate his or her time, ideas, and effort to improve Library services for the community. And someone who understands how to fill the critical financial gap in maintaining Library services. To encourage the use of the Library's resources and services. To receive and encourage gifts, endowments and bequests to the Library. To support and cooperate with the Library in developing library services and facilities for the community.